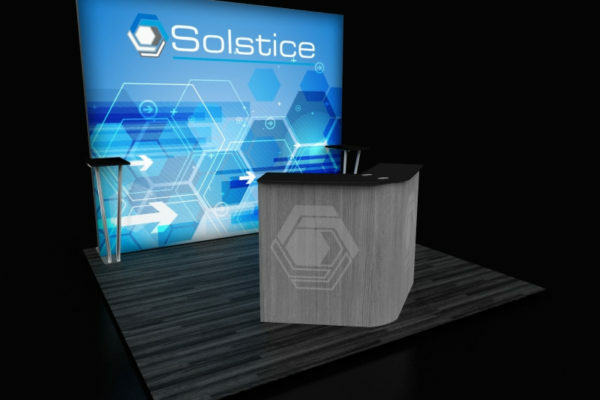 While space might seem inadequate, there’s actually a lot that can be done with a 10 x 10 space that will be both functional and aesthetically striking. 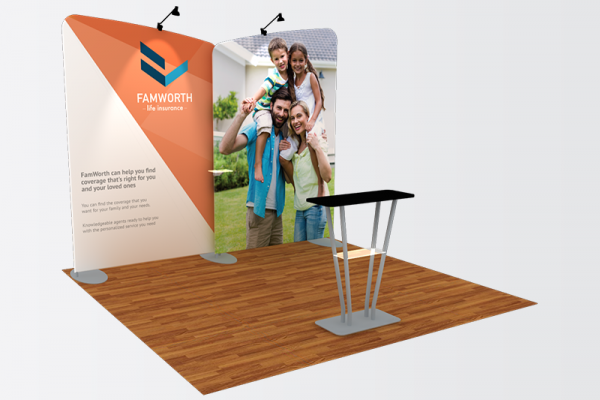 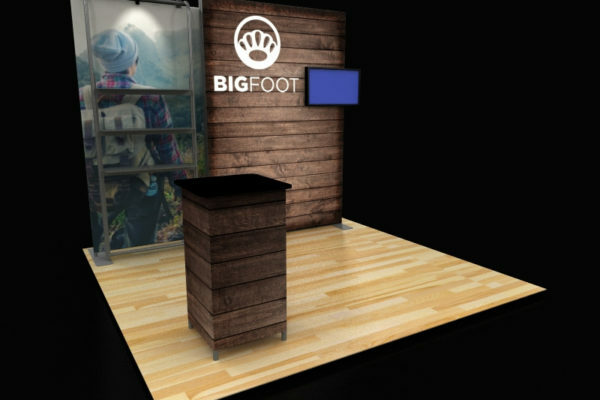 For new exhibitors, a 10 x 10 trade show booth display might be your budget’s best option—but that doesn’t mean you have to sacrifice style. 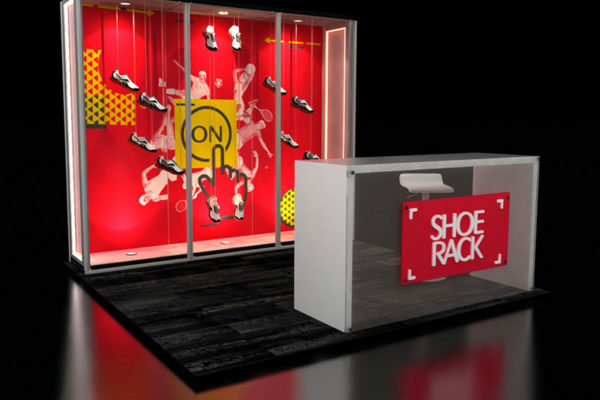 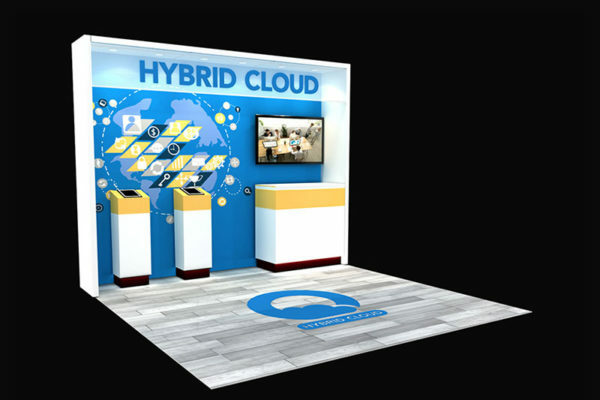 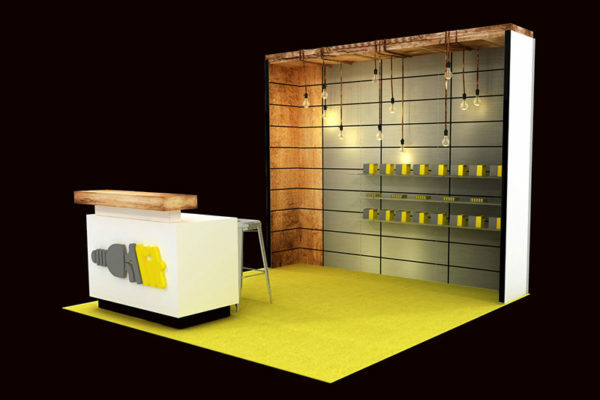 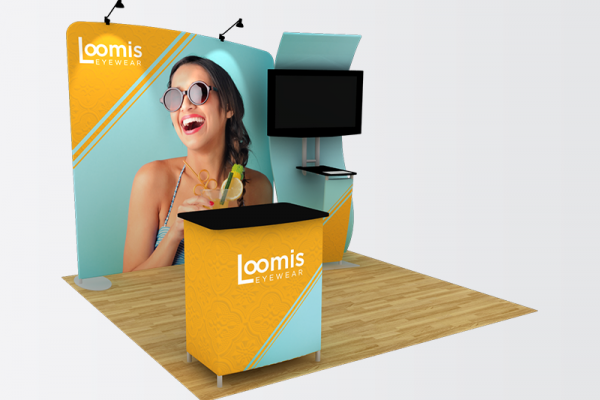 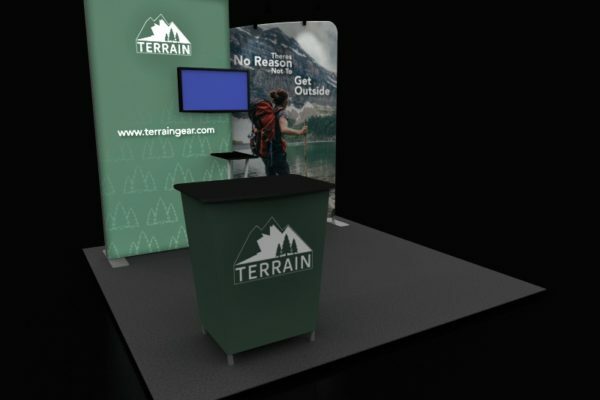 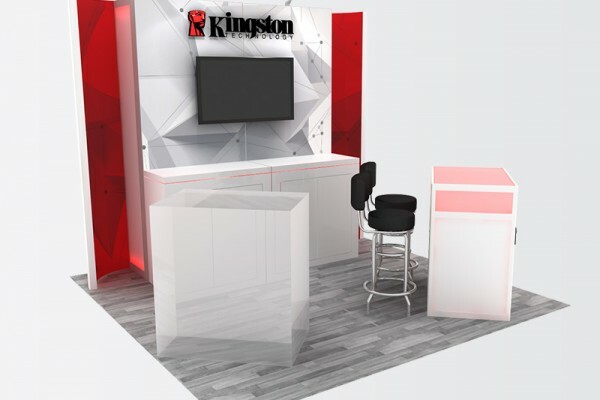 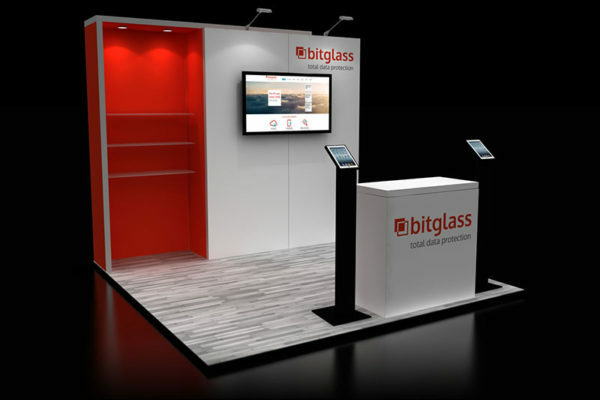 While the common misconception is that 10 x 10 booths imply a vinyl popup, you can actually have a full, custom rental exhibit that will stand out on the show floor. 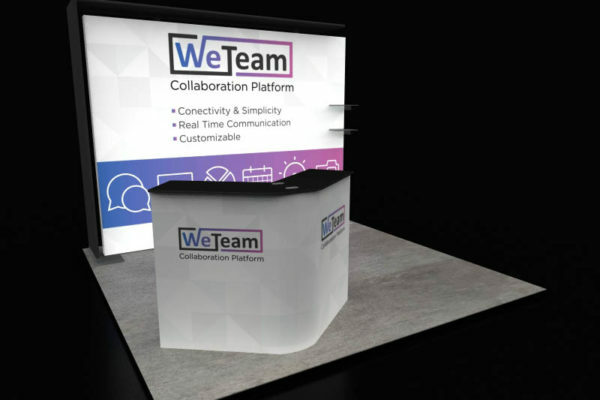 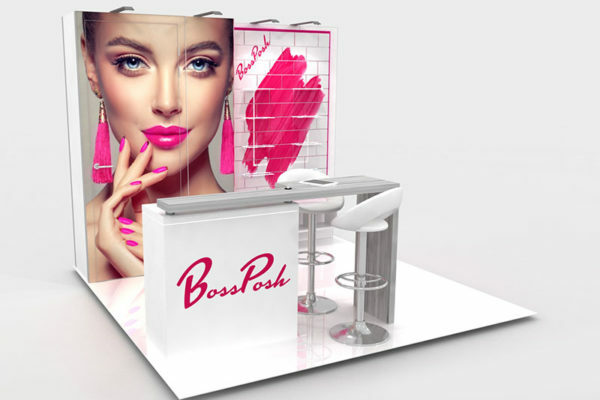 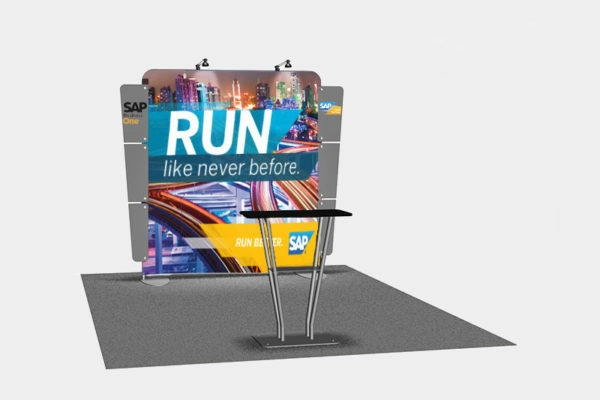 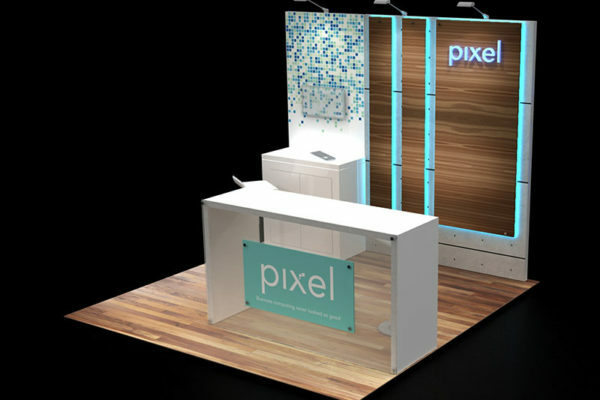 With unique graphics that have seemingly endless possibilities—from 3D logos to backlit fabric displays—your 10 x 10 booth can still make a big impact. 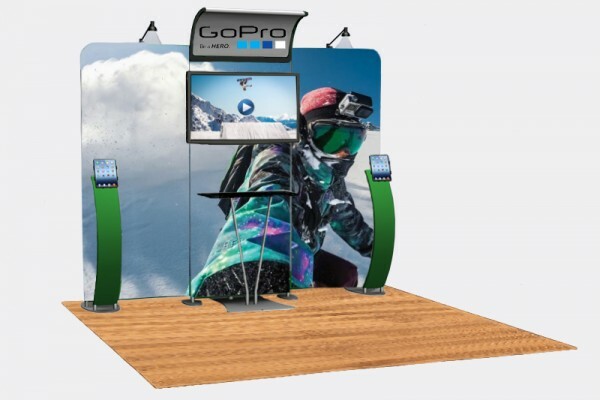 Everyone else with a 10 x 10 booth is facing the same restrictions that you are, it’s just a matter of creatively executing an on-brand message. 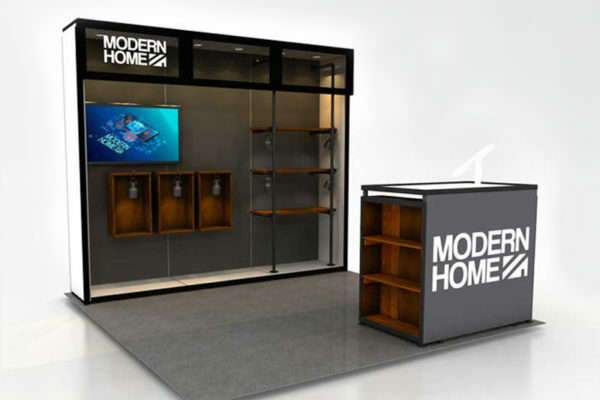 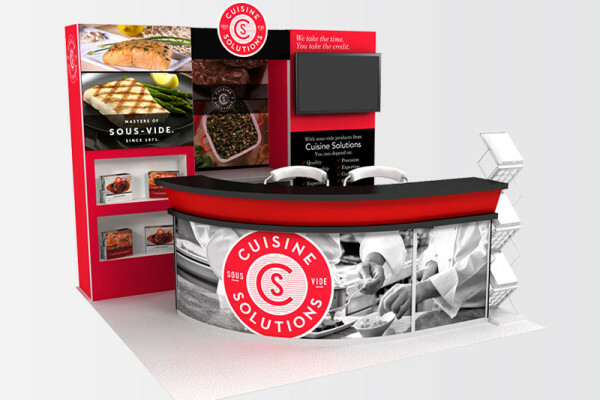 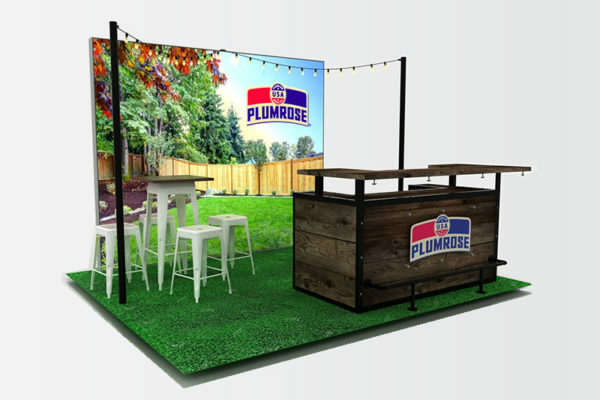 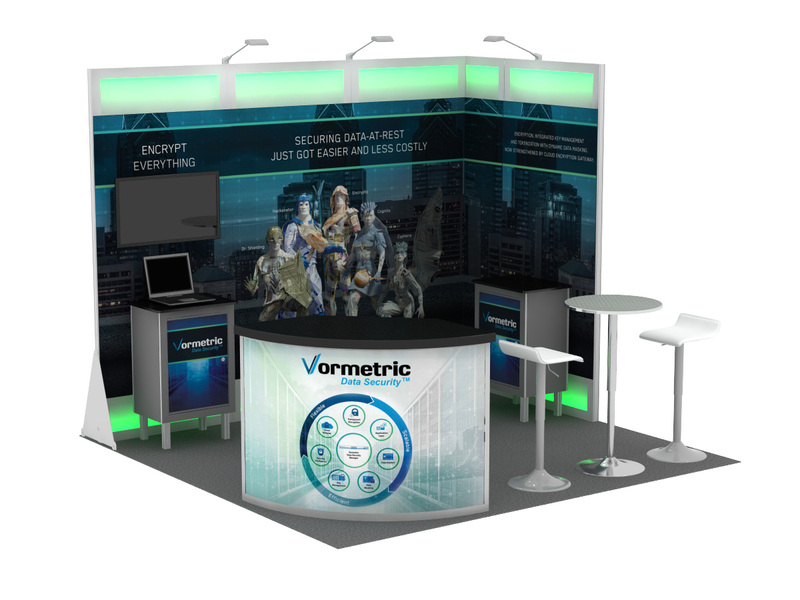 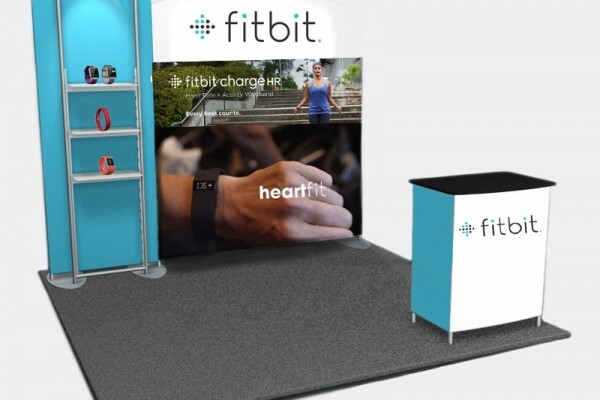 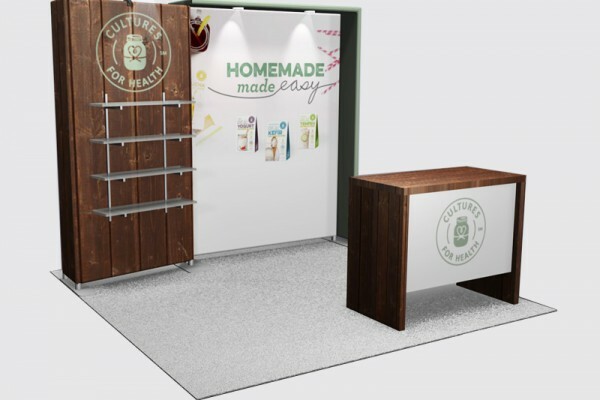 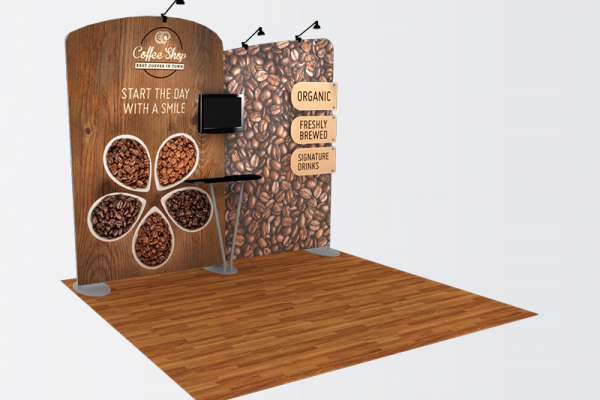 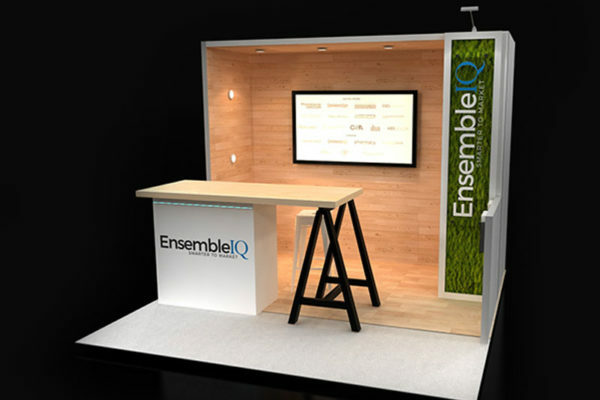 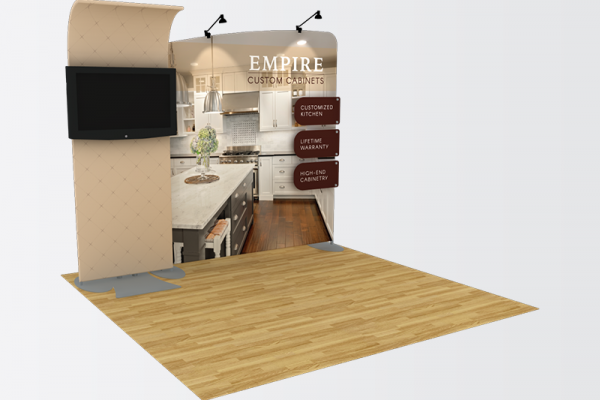 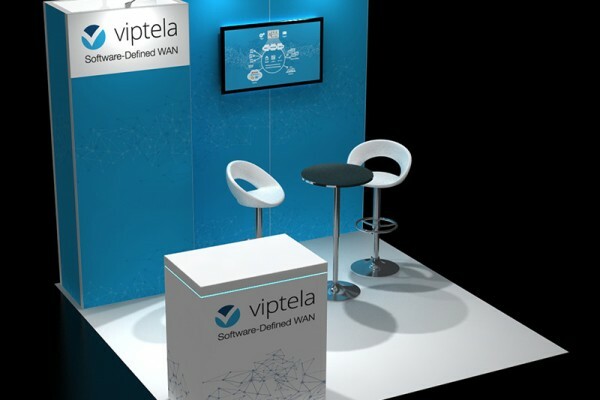 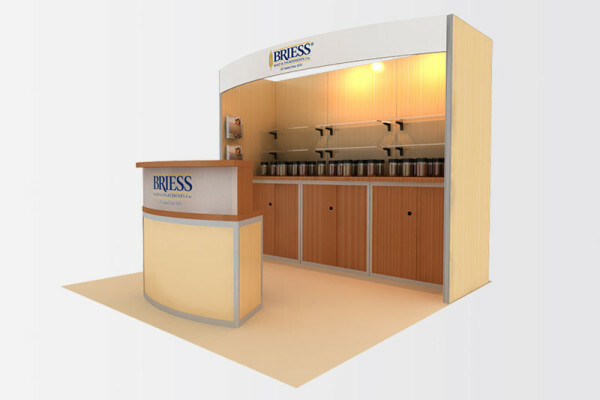 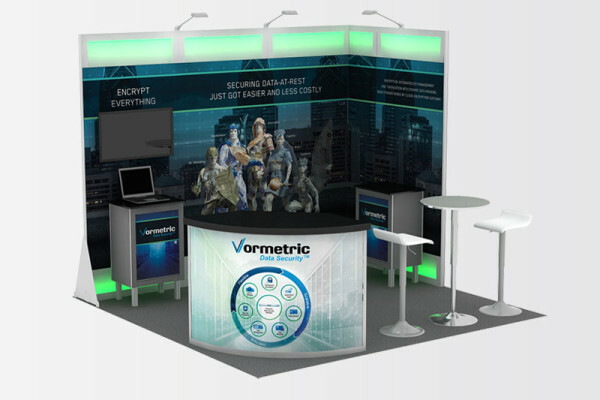 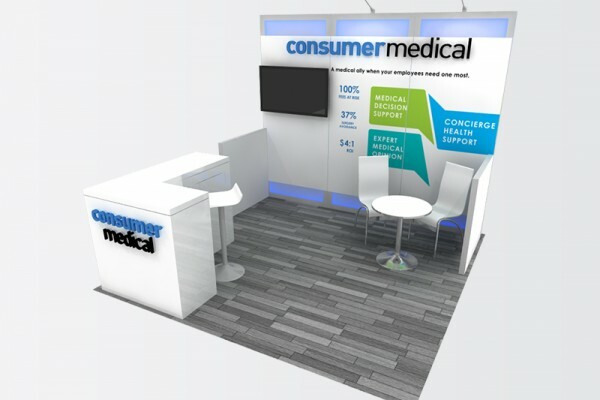 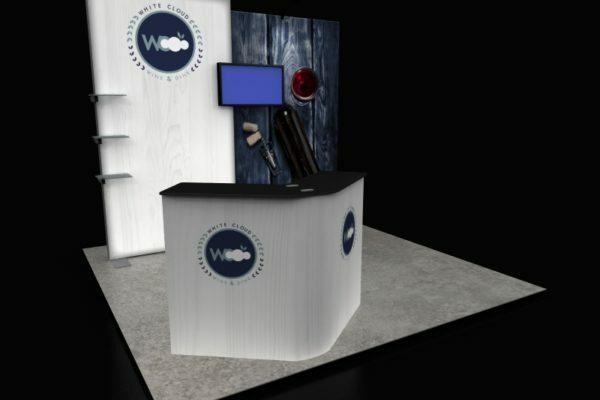 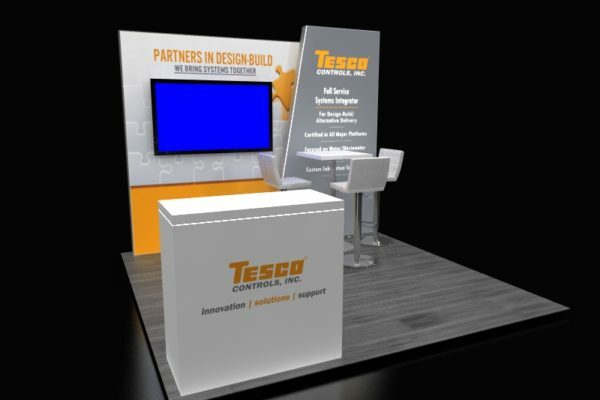 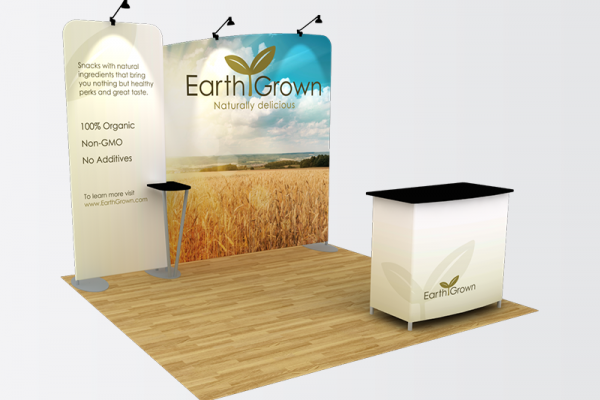 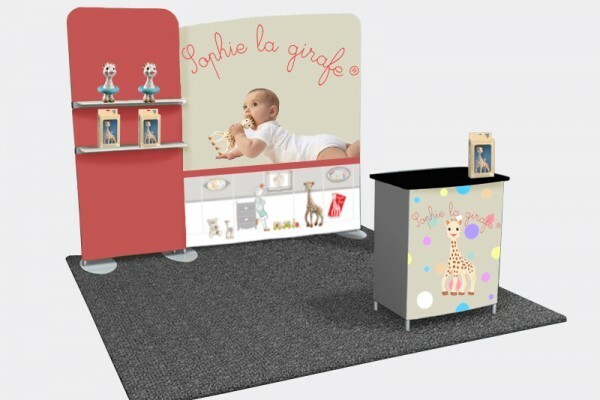 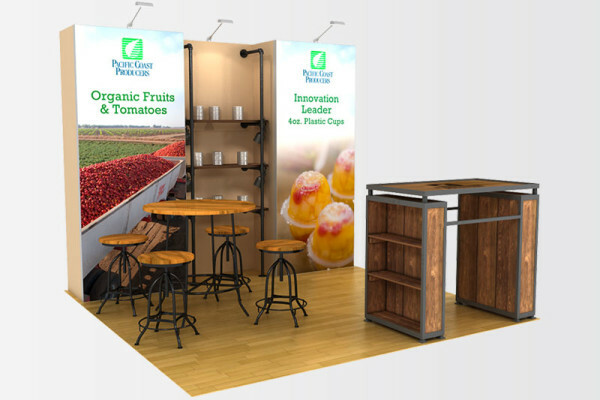 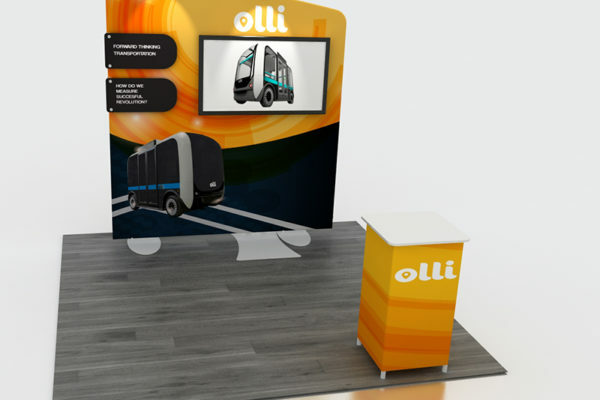 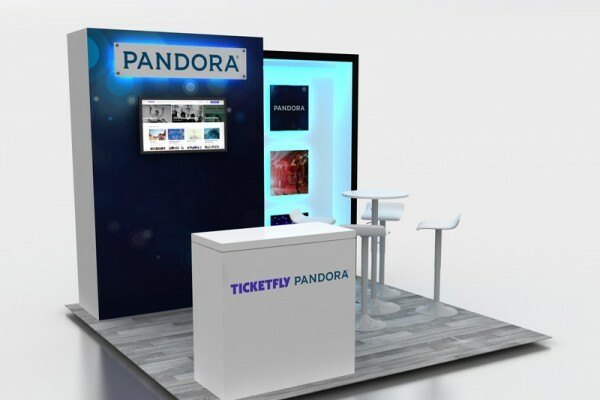 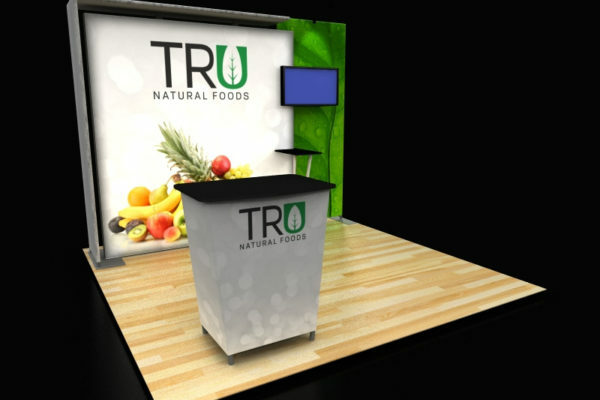 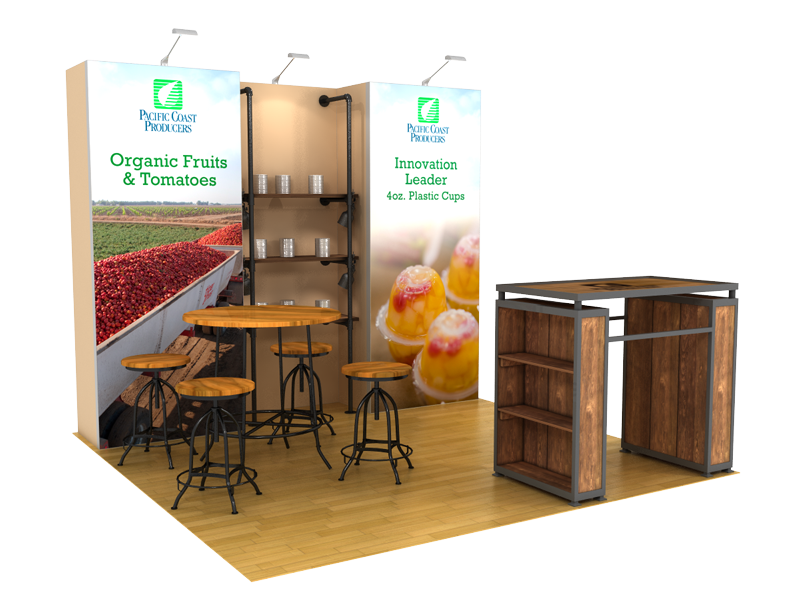 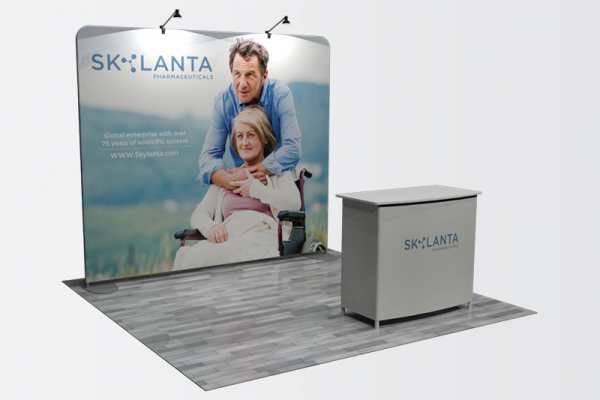 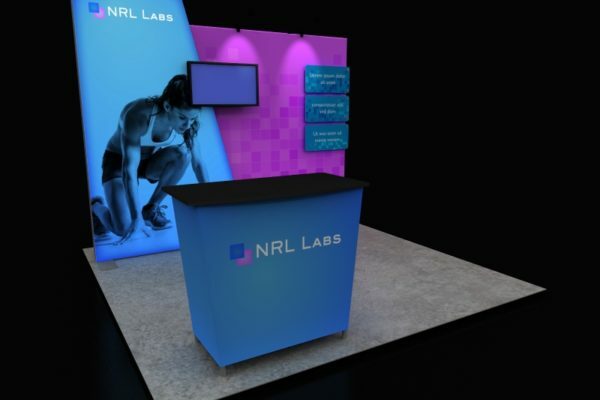 It’s not uncommon for some brands to choose to showcase a large, robust booth for a few select shows, but use a smaller display for shows where brand objectives differ. 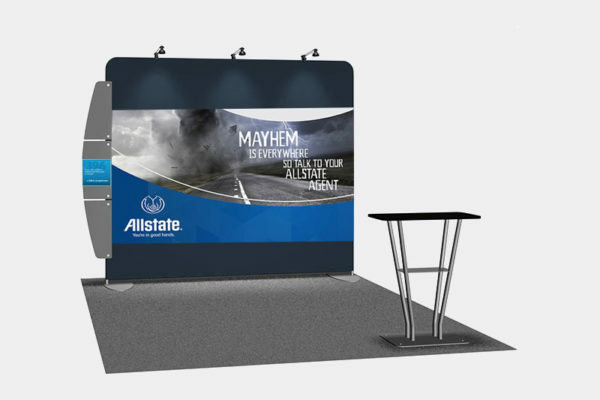 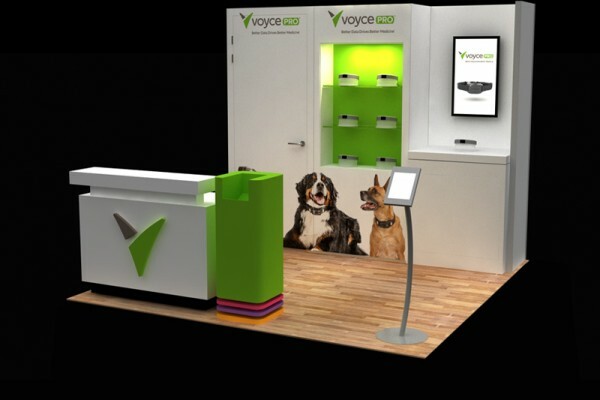 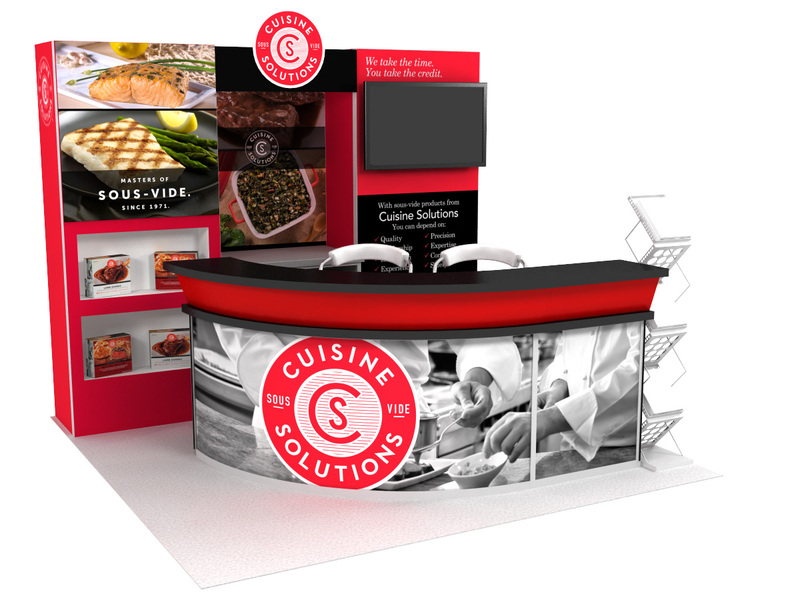 Vibrant, fabric graphics are an eye-catching way to draw traffic into your booth, and there are compact, convenient solutions that create budget-friendly and beautiful displays that stand out from the competition. 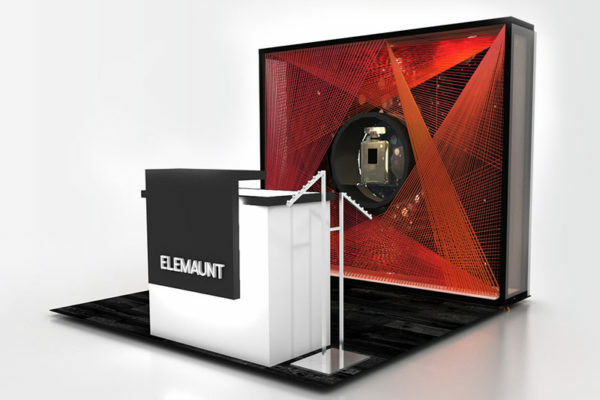 Some lightweight solutions are so compact, portable and easy to set up that they reduce the cost of labor and drayage. 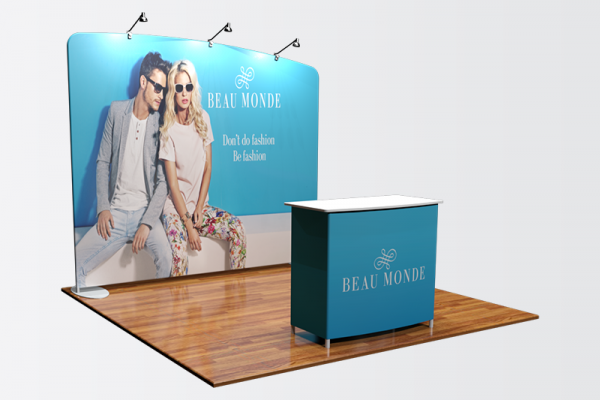 Fabric displays feature high quality textile and wrinkle-free graphics that look seamless and luxurious.